No, its not a repeat. 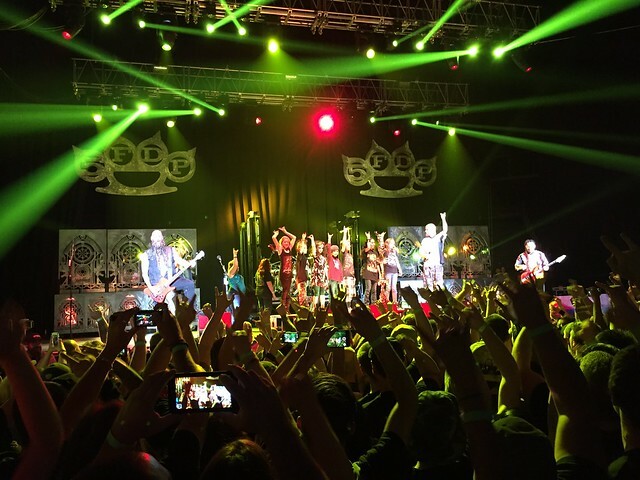 After seeing 5FDP in Vegas last week, they came to Colorado tonight to wrap up their tour for the KBPI Halloween show. Volbeat was not on the bill though this show. KBPI continues to be the premier radio station in the US for rock and metal. 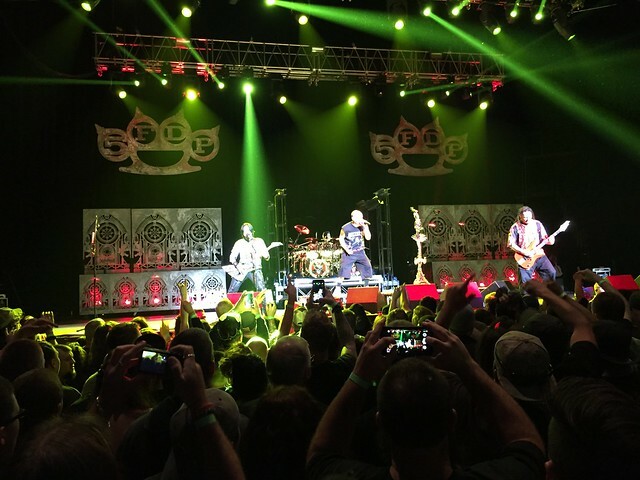 While the stage and setlist were pretty much the same, the tone of the show was different. 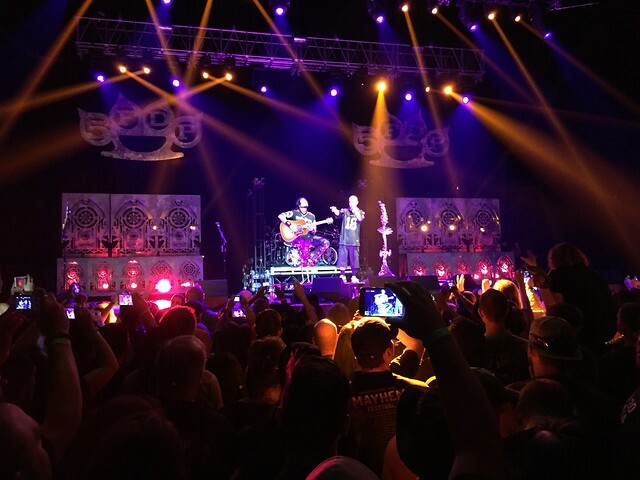 5FDP calls Vegas home these days but Ivan calls Colorado his real home. He was born in Denver and raised her before leaving for LA to pursue music. So I thinks its always a cool homecoming for him. Dude broke down in tears near the end thanking everyone for their support over the years. From playing the Eck’s Saloon to nobody and now the 1st Bank Center. They brought the kids up on stage for the show again. Kind of the usual rap. It was funny that they would do the same interludes and jokes between songs too. I guess its like any type of show. You find something that works and stick with it. Glad to see these guys once again. Heavy metal isn’t dead. It was alive and well in Broomfield tonight.